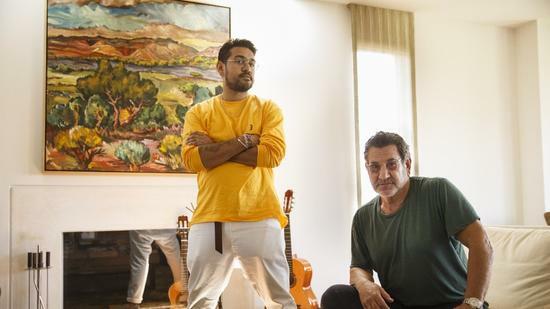 Larry Leight, founder of Oliver Peoples, and son Garrett Leight pose for a portrait at his home in Santa Monica, Calif. The father-son duo Larry and Garrett Leight will launch a new capsule collection. On a May afternoon at eyewear design guru Larry Leight’s Santa Monica home, Leight, founder of Oliver Peoples, and his son, Garrett, founder of Garrett Leight California Optical, took a break from actual work to consider how they each created successful eyewear labels that have captured the cool, in-the-know crowd of their respective generations. 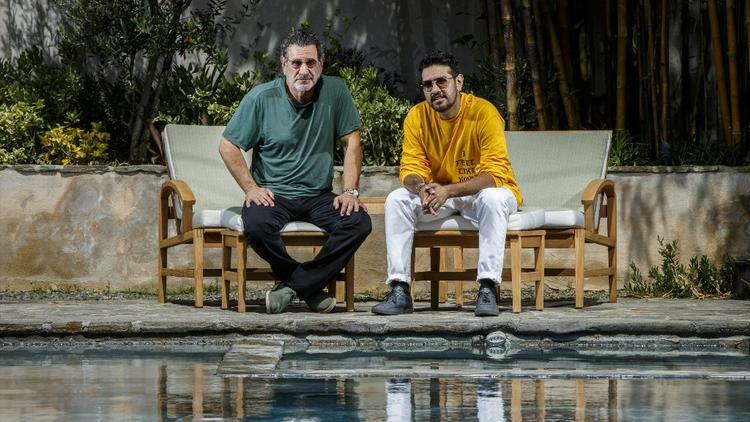 Aside from similarities such as profession, stature and surname, father and son finish each other’s thoughts and have a similar magnetism for attracting a cult-like following of loyal fans and talented employees. Together, they have joined forces to create a capsule collection of luxury eyewear called Mr. Leight. Eyewear wasn’t always the clear choice for Garrett as a profession. In 2006, however, the younger Leight (the family name is pronounced “light”), who was focused on tennis and studied journalism, went to work at Oliver Peoples at the suggestion of his father to gain work experience. Garrett eventually left Oliver Peoples, and went into business for himself. In November 2009, Garrett opened A. Kinney Court on Abbot Kinney Boulevard, a lifestyle concept store in Venice with opticians, eyewear, footwear, apparel, books and music. Garrett soon became inspired to create his own collection and created his namesake business in 2011. Today, Garrett Leight California Optical eyewear is available through about 800 wholesale accounts worldwide as well as four stand-alone GLCO stores. 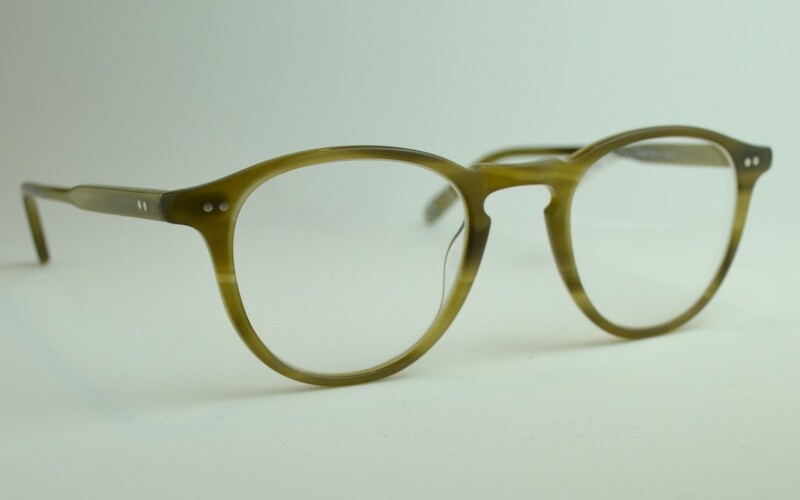 The eyewear has framed the famous faces of January Jones, Kristen Stewart, Leonardo DiCaprio and Kendall Jenner and spawned collaborations with Clare Vivier, Want Les Essentiels and Mark McNairy. In 2006, Larry sold Oliver Peoples to Oakley, and the following year, Italian eyewear brand Luxottica acquired California-based Oakley. Larry retained his creative role until his departure at the end of 2015. Larry says he spent months after leaving Oliver Peoples trying to decided what he’d do next. “I realized that even if I didn’t know Garrett, his is the company I want to work for,” he says. Inspired by his son’s business and brand, the veteran eyewear designer and accessory brand icon was brought on earlier this year as a design consultant at GLCO and to collaborate on the Mr. Leight collection. 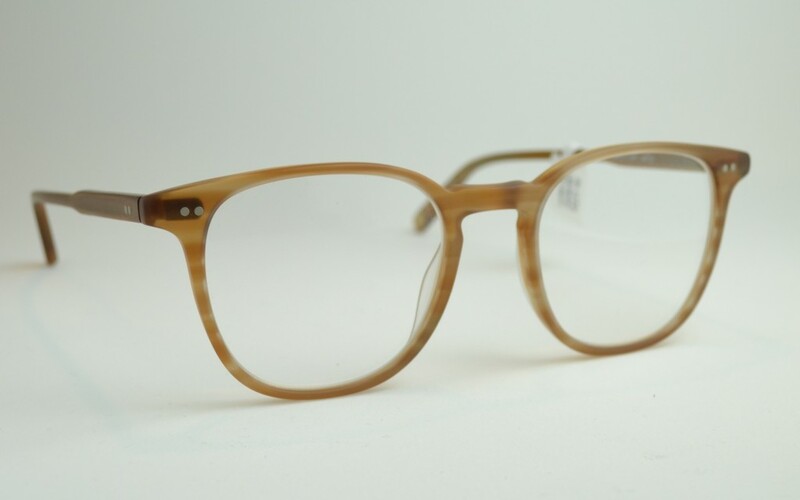 While in the design phase, the Mr. Leight collection will have frames made in Japan with a starting cost of $700, and, going forward, the eyewear will skirt traditional fashion cycles. In his new role, Larry lends his decades of design experience to Garrett and his team, and he defers to Garrett’s strength for sales and marketing for building a strong brand. Using their design and production prowess, the Leights’ team also has their sights set on making Mr. Leight a design house with the idea of collaborating with select like-minded brands to consult with and create eyewear for those brands. An exciting collaborative journey that, because it bears the name they both share, has the potential to pay a humorous dividend next time someone addresses Garrett as “Mr. Leight.” He could respond that he’s Garrett – Mr. Leight is his dad, and their brand. 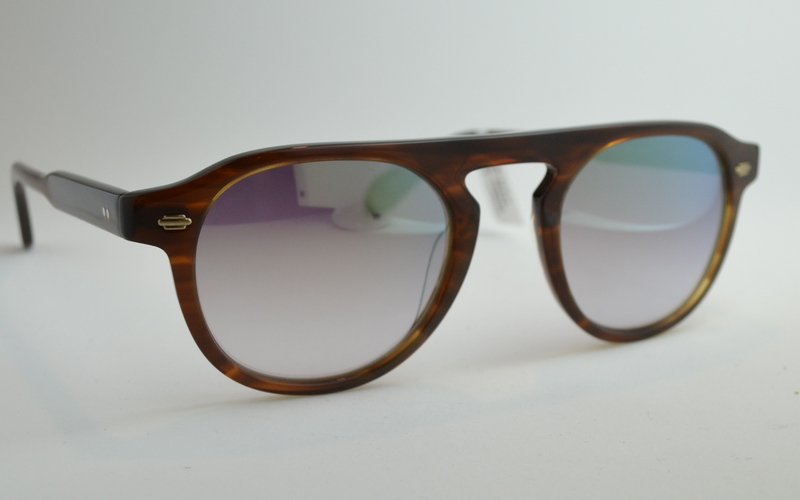 Garrett Leight California Optical collection is available at Providence Optical. Watch our exclusive interview with Garrett in Munich.